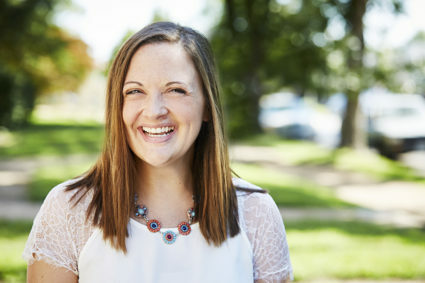 Cortney Dollens is a Licensed Professional Counselor (LPC) in the state of Missouri, and holds a Master of Arts in Professional Counseling from Lindenwood University. Cortney has advanced training in Trauma-Focused Cognitive Behavioral Therapy (TFCBT), an evidenced-based therapeutic model offering a collaborative and structured way to build skills to effectively process traumatic experiences. Cortney has spent time in a variety of mental health contexts and settings, including her previouswork in agency-based, in-home, residential, and outpatient modalities, and her work with women struggling with substance abuse. She is passionate about building strong, trusting, and judgment-free relationships, and understands the delicate balance that must be struck with clients who need to be both supported and challenged at the same time. She has particular experience and interest in work with clients wrestling with depression, anxiety, trauma and PTSD, and identity (including LGBTQ+), as well as partnered/married couples concerns. Want to meet with Cortney?